Line removal, white lining, road marking, road retexturing, high friction surfacing, refreshing existing markings, over banding and joint sealing, cats eye and road studs removal and installation, car park markings, playground markings, factory markings, airfield markings and sports facility markings, and hydroblasting. Coupe Line is proud to be the leading independent UK road marking contractor and enjoys some three decades of practical experience and expertise in our specialist industry. 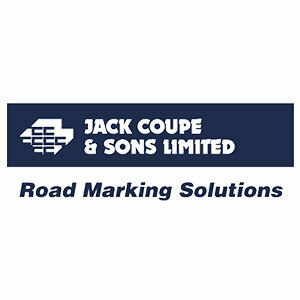 As a major division in the respected and renowned Jack Coupe & Sons Limited group of companies, we have an inherent philosophy of delivering the highest standards of workmanship, customer service and health and safety throughout all projects. To help achieve our goals, we operate a quality management system which complies with the requirements of ISO 900: 2008, as well as holding amongst our multiple accreditations and qualifications.